When you are having new garage doors installed in your home, you will want to ensure that the job is done properly the first time around. At our small, locally owned and operated business, we aim for quality customer service. With our level of knowledge and reputation for attention to detail, your garage door installation will be seamless and hassle free. Read more . 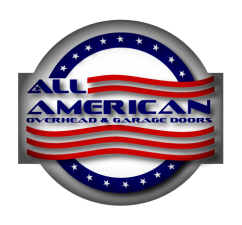 . .
At All American Overhead & Garage Door, we strive to provide our clients with nothing less than the best. We understand that your commercial garage door can take a beating, and that is why we have ensured that each commercial garage door we offer is capable of withstanding the demands of daily wear and tear that come along with owning a business. Read more . 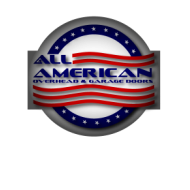 . .
At All American Overhead & Garage Doors, we are committed to providing our clients with nothing less than the absolute best in garage door components. In today’s busy world, we are constantly coming and going, and your garage door opener is going to play an indispensable part in your daily life, and you'll want nothing less than smooth running power and reliability year after year. Read more . . .
We are committed to providing our clients with nothing less than the absolute best in garage door components. Our primary aim is to provide you with security and convenience. Your business is worth protecting, and that is why we offer LiftMaster garage door openers for your commercial overhead needs. Read more . . .
A garage door requires annual maintenance, just like your vehicle would. When the components are neglected, it can result in premature failure of the moving parts, which could potentially cost you hundreds or thousands of dollars in repairs. Our preventative maintenance services will ensure that your garage door continues to operate like the well-oiled machine it is. Already in a bind? We can help! Read more . . .
Knowing when to replace your home's windows isn't always as clear as it may seem. If your home is older than 15 years, it's probably a good time to check and make sure your windows are still operating correctly. A windows replacement can also give your home a dramatic makeover or complement the look you love. All American Overhead & Garage Doors can help you with installation of beautiful, energy-efficient, professionally installed windows. Read more . . . Serving Salinas, Gilroy, Monterey, San Jose, and the surrounding areas for over a decade.